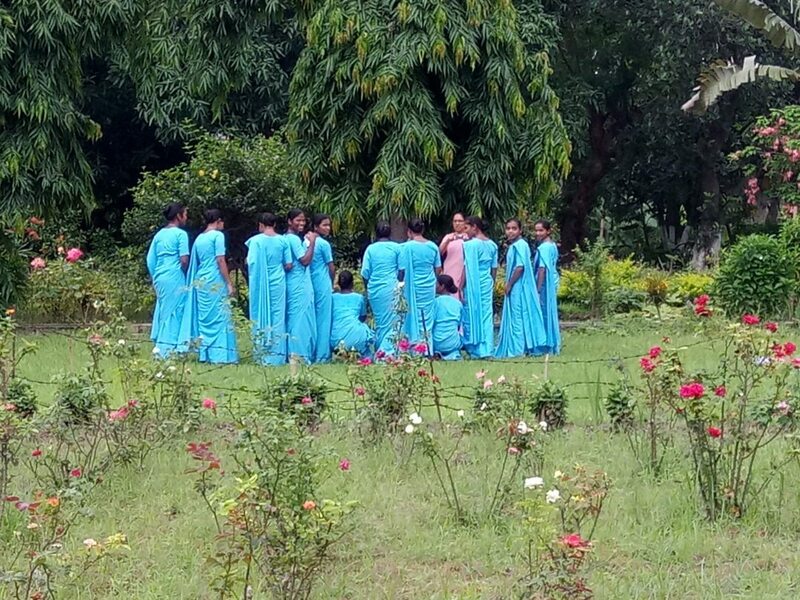 It was a great privilege for us to have the Inter- Novitiate program in Nazareth Convent, Mokama. We commenced our program on 25th of July and concluded it with the Eucharistic Celebrations on 29th of July. Fifty Novices from five Congregations- Sisters of Notre Dame, Congregations of Jesus, Holy Cross, Sacred Heart and we the SCN Novices attended the program. Father Matthew Chemplany SJ was the resource person for the program, who helped us to broaden the understanding of psycho-spirituality. These five days of the workshop was very special and meaningful for our growth. He helped us to have a better understanding of the following aspects – knowing our personality, prayer life, religious vocation, Vows and the community life. He made it clear about the spirituality of Jesus that we need to follow. The Eucharistic celebration was meaningful with the inspiring messages and stories. Guided meditation has helped us to be aware of oneself and change ourselves to make life beautiful for us and for others. We can summarize these five days’ workshop as “living life, in full awareness”. Overall, it was a rich experience of learning to live life in the community and mission. We enjoyed the group interactions and came to know the gifts and talents of each other. We expressed our gratitude to Elsa Ezhaparambil, SCN and the community for the comfortable accommodation and arrangements for the fifty novices who came from five different Congregations. The novices and their directors appreciated our hospitality. We also thank Suchita Kullu, SCN, our Director for accompanying us in our journey. Thanks for sharing your faith experience with us.May you broaden your knowledge of yourself and others. God bless each of you. I am a bit late but want to share my feeling of satisfaction that such collaborative events could take place. This is the time for collaboration and thank you for being in it!! CONGRATULATIONS!!. Congratulations to the person persons who had this great idea. I am sure many left with good thoughts and ideas. I am so grateful for each of you and for broadening and widening the charism! Peace and blessing to each of you. Wow. I am really happy that you had this wonderful experience. What a beautiful experience. Thank you for sharing with us. It is truly a learning experience; interacting with others we become richer and our outlook becomes wider. Thank you Formators for arranging such wonderful and interactive sessions for our Novices. wonderful. I am so glad you had this promising opportunity.